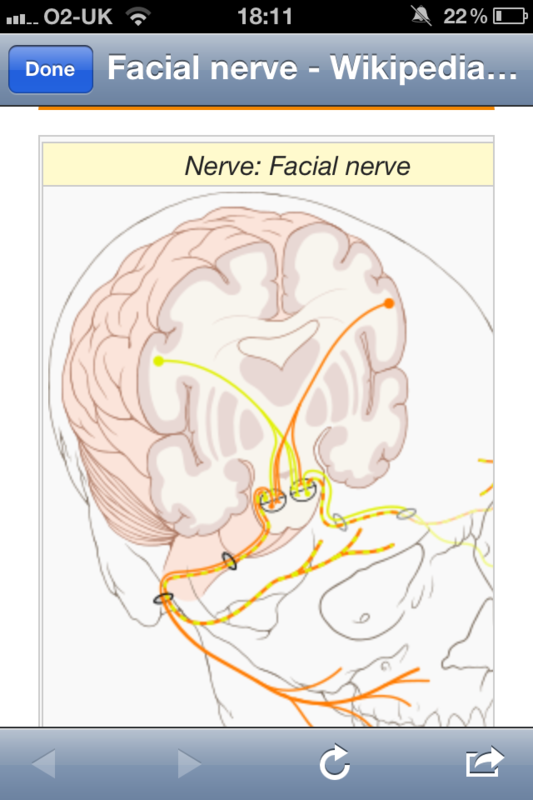 One of the harder topics for resident physicians and medical students to get their head around is the cranial nerves. 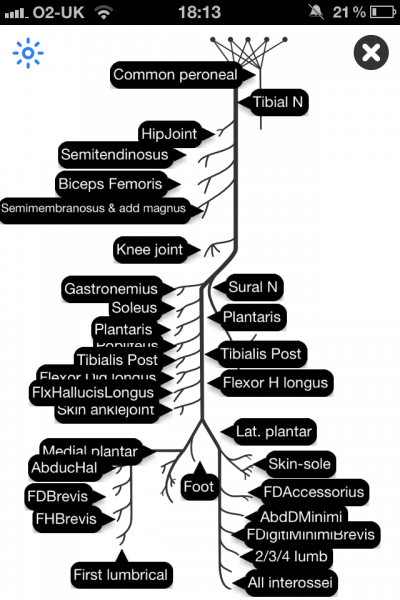 These 12 nerves are some of the most important nerves in the human body and their complex anatomy, functionality and associated pathology can often be difficult to grasp. Now there is a simple reference app which aims to considerably simplify this process by putting all the relevant information you might need on the cranial nerves in one place. 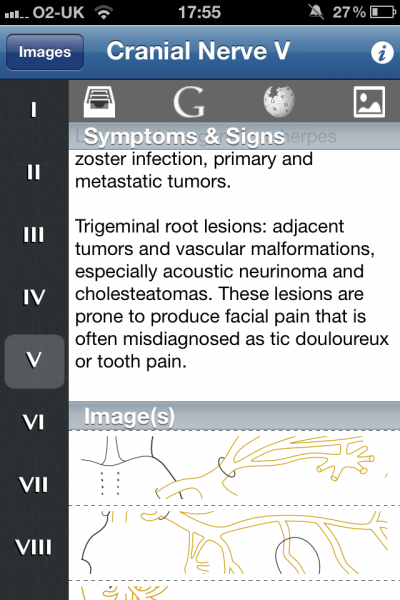 Cranial Nerves ~ Pocket Clinical Resource by Med Gears is a great example of a modern archetypal medical app. It has one function which it aims to accomplish and it does this well by using a combination of detail and clever user interface. Opening the app presents the user with a sliding tab bar on the left which can be used to select a specific cranial nerve. 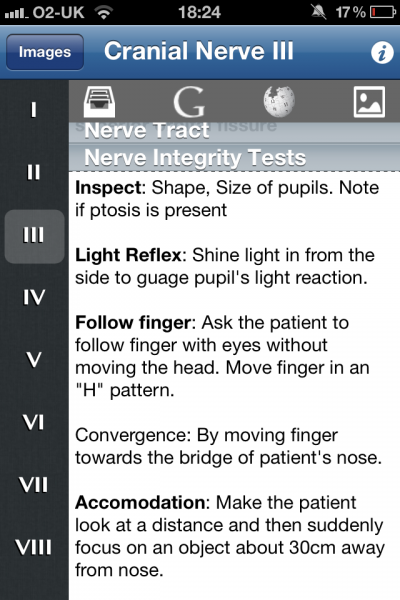 On the right, the app displays a range of information starting with the most important ,’Type’ and ‘Functionality’ and continues through other useful clinical points such as ‘Nerve Integrity Tests’, ‘Anatomy’ and ‘Signs and Symptoms’. 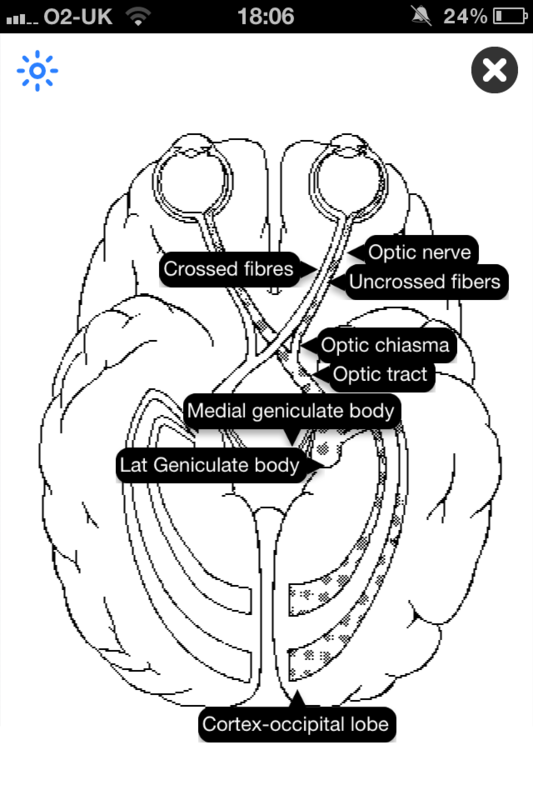 There are even annotated pictures showing each nerve tract as it divides. This is very useful for understanding the various branches which could potentially be affected by a lesion in a particular area. 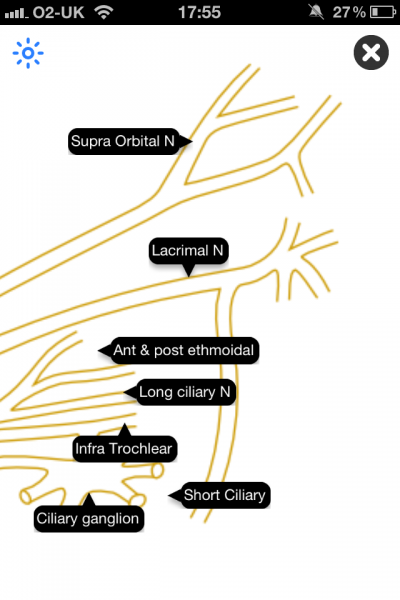 There is also a useful section dedicated to showing the branches of other major nerves in the body such as the sciatic nerve (shown below). Users can test their knowledge of the various branches by tapping on the image like a quiz or alternatively, there is an option to display all the labels. As you can see from the screenshots, there is a wealth of information provided. There is good use of formatting to highlight key points such as the location of various ganglia or certain signs and symptoms. There is a heavy focus on anatomy and this sometimes comes at the cost of relevant clinical tests and information. There was more than one occasion where I noticed there were missing signs or symptoms from the clinical section. This may restrict its usage for some clinicians; however, the rest of the information included is generally detailed and more than useful as a quick reference guide or prompt. 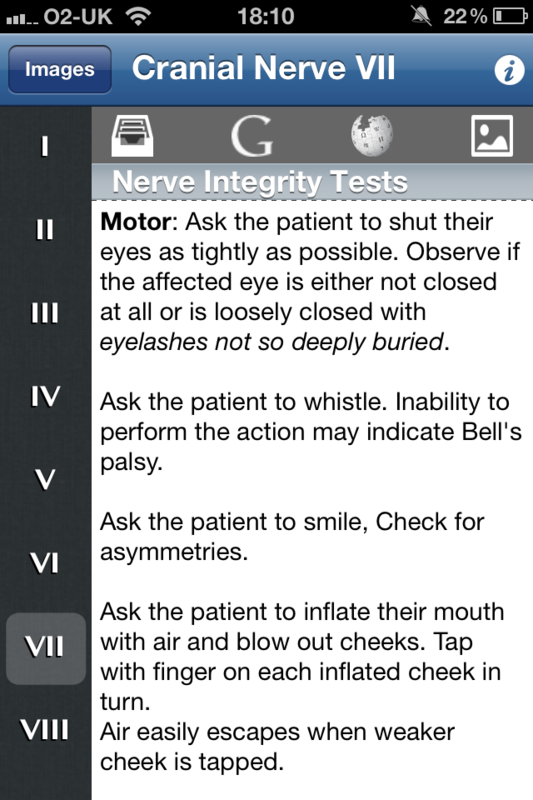 This app does include a good cranial nerve examination which students may find useful to hone their skills. No link between certain signs and symptoms and the location of the lesion for certain entries eg Vagus nerve which has limited information and absent sign of the deviation of the Uvula. Cranial Nerves Pocket Clinical Resource is a worthwhile addition to any residents collection. It is a cleverly designed useful aide memoir for the cranial nerves which won’t replace a textbook but will help jog a users memory as and when required.